I have been really busy moving house over the past 2 weekends. Internet connectivity is impossibly slow in Hong Kong. I can’t believe my ears when PCCW told me that they need 14 days to transfer and activate my internet account! With no internet and a new messy place (plus tons of new jobs at work), I am trying to get back to my usual rhythm. It is a completely new routine now and I am trying to get used to the new place. The cold spell is over and the weather is fantastic now. Haven’t got time to do our usual weekend hiking. Would like to do more exploring of the neighborhood too. Good news is – we are living just 2 minutes away from our buddy Harshad! 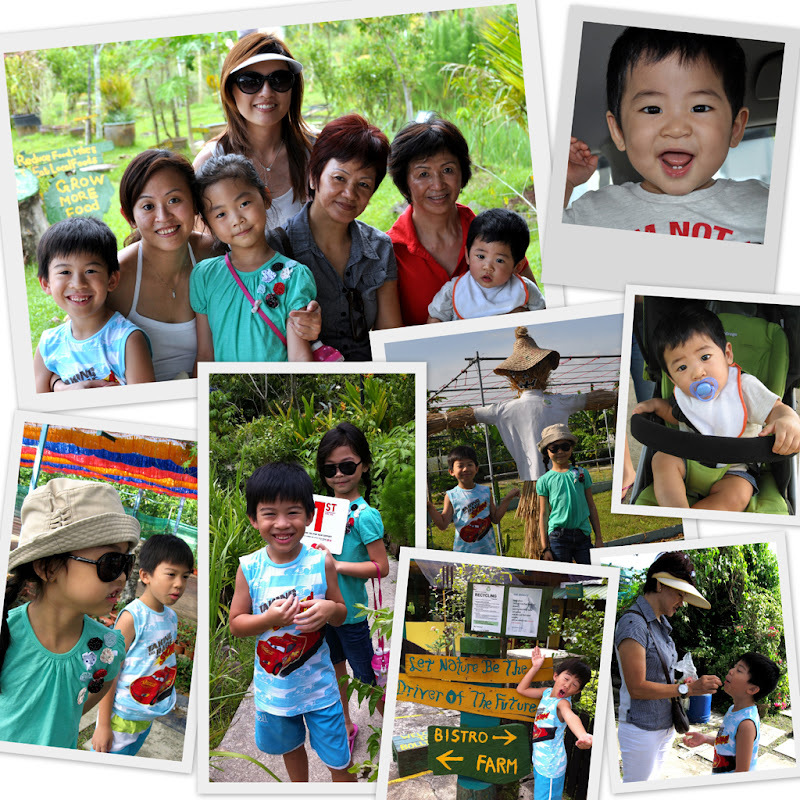 Back in Singapore, the kids and family are having a great time! Felicia sent in many photos and wrote me a nice blog. 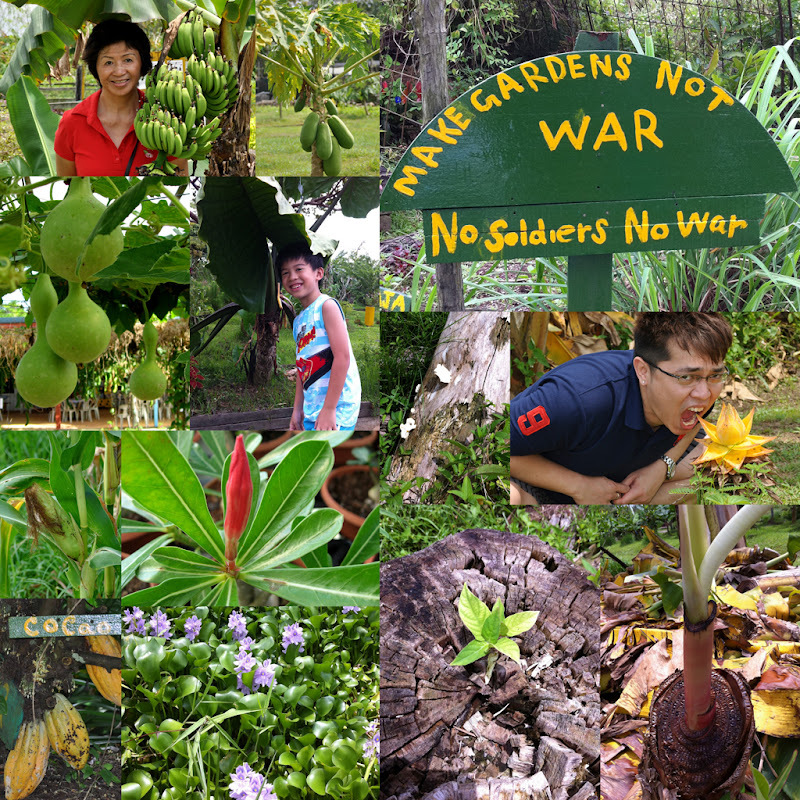 After many weekends of no-where-to-go, Jovel suggested that we should go visit the farms. The kids were really excited about it! Even baby Jorance was all smiles and laughters through out the trip. Thanks to Amy Ah Yi, who agreed to join us in this trip! Otherwise transport would have been a problem. There are indeed many farms around the Kranji Country Side. From animal farms to fruit trees and vegetables farms. Our first stop was to an Aero-ponics Farm. Veggies are grown with their roots suspended in the air and a fine mist of soluble nutrients are sprayed onto the roots. So no soil and less water is used! Great technology where water and land are scarce. Next we go find the billy goats at the dairy farm. Mummy goats were busy expressing fresh milk for the visitors while the daddy goats are happily munching weeds. The kids were upset that they didn’t get the feed the goats. The farm has stopped the feeding by the visitors for health issues. The third stop is where one may kiss and find her handsome prince!! It’s the frog farm. The croaks of the frog were quite annoying. I have never seen frogs so huge and they were certainly not handsome. 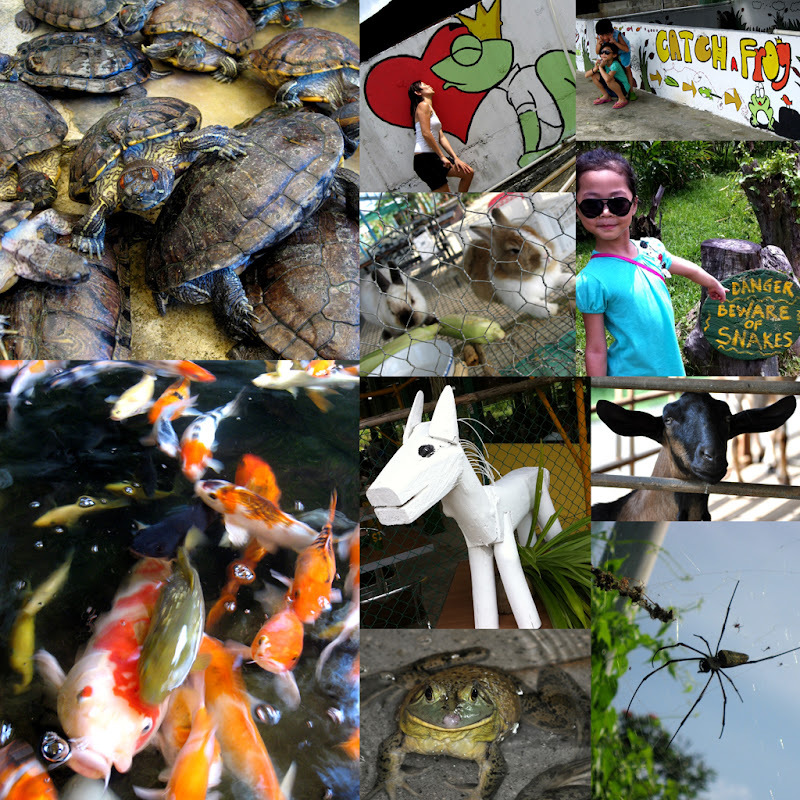 For the frog lovers, you can get some yummy deep fried frog legs right after the short tour of the farm. Bet you find it hard to swallow after seeing the frogs! Some of you may have liked the sweetness of Hasma double-boiled with rock sugar and red dates. Do you know that they are actually dried fallopian tubes of the frogs? Maybe the saliva nests of swallows is more acceptable. Next we went to a farm with a wide variety of veggies! Best of all, we had a great meal at their lovely bistro. Deep fried sesame chicken, healthy brown rice, ice cold Fig tea, banana curry, Moringa tempura, Papaya salad, etc. With our tummy filled. We took a slow stroll into the well landscaped farm. There’s were safe play areas for the kids, little ponds and benches under shady trees. It felt like one of those Australian farms. It will be great if Singapore have a cooler weather like Spring. I would probably bring my picnic basket with a pillow and book! Our last stop was a fish farm. There were the XS, S, M, L, XL, XXL, XXXXXXXXL sized fish! I mean really XXXXXXXL! It was the giant Arapaima. Almost 2 meters long! There were other monster fish like the Alligator Gar, Red Tail Catfish and the Freshwater Stingrays. Lots of tortoise and prawn fishing was available too. Wanna itchy? Go for a Fish Spa and off goes all your dead skin from your feet! It was really a long day for the kids and baby Jorance was a great sport! Not a whine from him! Good boy!! I certainly have a backache after half a day of walking. But it was worth the trip. There are over 20 farms around the Kranji Country Side. Looks like we may make another trip back! !